Jolie is using Smore newsletters to spread the word online. 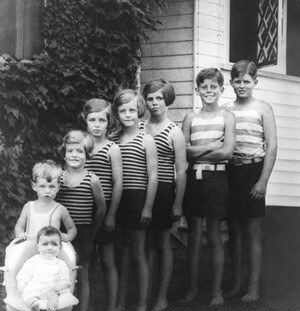 John F. Kennedy was born on May 29, 1917 in Brookline, Massachusetts into a highly successful and political family. His parents, Rose Fitzgerald and Joseph Kennedy, had a total of nine kids (four boys, five girls). John was named after John Francis Fitzgerald, his grandfather on his mother's side of the family. He was the second oldest son and often called Jack. Throughout is younger years, JFK was very unhealthy and sickly. The Kennedy family was a successful, Irish catholic family. The large family lived in prosperity, and their father encouraged competitiveness among the boys. As John grew older, he became a popular, sharp, and athletic boy. In school he was very involved, and though he wasn't always a perfect student, he loved history and English. He studied at Harvard and became interested in politics and world affairs. His brother Joe had always been recognized as the more intelligent and success oriented Kennedy child. Both young men joined the navy after graduation from Harvard and endured life changing experiences. John was the commander of a patrol torpedo boat with the purpose of keeping Japanese ships from delivering supplies to their fellow soldiers. A Japanese destroyer hit the patrol boat and split it in half, injuring Kennedy and most of his crew and killing two men. John led the injured soldiers to an island and took care of them while enduring a back injury that made his already weak back much worse. Eventually they were rescued, and Jack was awarded for his courageous acts of bravery. Joe, his brother, died a year later in the explosion of his plane. After these war events, Jack was the oldest son left and had to proceed with his life. In 1946, after his dad convinced him to run, Jack (democrat) was elected to congress in Massachusetts. He served in the House for six years and was then elected to the senate, marrying his wife Jacqueline soon after. His back situation worsened and he underwent back operations. He wrote Profiles in Courage, a book about U.S. Senators that fought for what they believed, and had his first child, Caroline. Eventually, he decided to run for president, and with Lyndon B. Johnson by his side, he won the 1960 election against Richard Nixon. Jack was 43, the youngest person and first catholic elected. His second child, John Jr, was born before his presidential inauguration. As the thirty fifth president, he and his family brought refreshing changes to the White House. President Kennedy did his best to work through the Cold War, the Cuban Missile Crisis, racial segregation, and the space Race. His only obvious failure/ humiliation as president was the Bay of Pigs event. Although this was a disappointing event in American history, overall, many Americans supported and respected him. Despite this, on November 22, 1963, President Kennedy was driving past crowds in Dallas, Texas and was shot and killed by Lee Harvey Oswald (conspiracy theories- CIA involvement dating to Bay of Pigs, etc). On November 24, Jack Ruby shot and killed Kennedy's assassin. The death of John F. Kennedy saddened the citizens of America that loved his inspiration and leadership. Though many people remember him for his numerous affairs, the most well known with Marilyn Monroe, he was a man of great intentions and always put his country first. JFK wanted people to focus on their own accountability and work hard to make America a better place. He challenged Americans to contribute to the public good and emphasized the importance of civic action. Nothing happens just by chance. People have to put in effort and work to make something occur. Through initiative, hardwork, and vision the results one is seeking become possible, but expecting results without effort will not lead to success. John F. Kennedy was a charismatic, well spoken, young, and handsome man. His family was the image of the "American Dream" and Americans were mesmerized by this in some ways. His democratic ideals in his day were much more conservative than the liberals of today. In our modern society, progressive liberals are focused on growing a larger government on which people are more dependent, whereas Kennedy was focused more on people contributing in addition to the government to make the country a better place. If Kennedy were president now, there would be more emphasis on the founding fathers and historical figures whom he respected. In this time period, Kennedy's ideals would inspire trust and leadership and people would look up to him, just as they did when he was president in his time. JFK's inaugural challenge "summed up his own life and career, and rings true today as it did forty years ago" (Profiles in Courage). He had established a legacy of success which could have easily been sustained in modern times if he had lived. 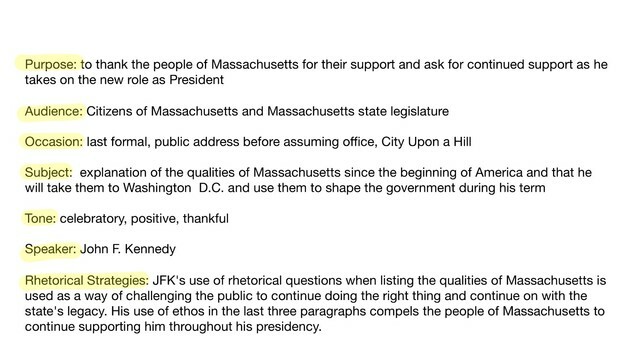 If I had the same skills as John F. Kennedy I would use his speaking skills and charisma to my advantage in politics or to generate support for important causes such as St. Jude's Children's Hospital or support for our military who serve and protect us on a daily basis just as he did when creating the Peace Corps. John F. Kennedy was born as World War I was coming to an end and lived in an era in which people were ready to serve their country. His family, mainly his dad, was highly political which influenced his political career. In addition, his military service during World War II gave him experience that taught him the need for a strong military leader. His creation of the Peace Corps and the way he handled situations such as the Cuban Missile Crisis show qualities he developed as a young man growing up before his political career began. 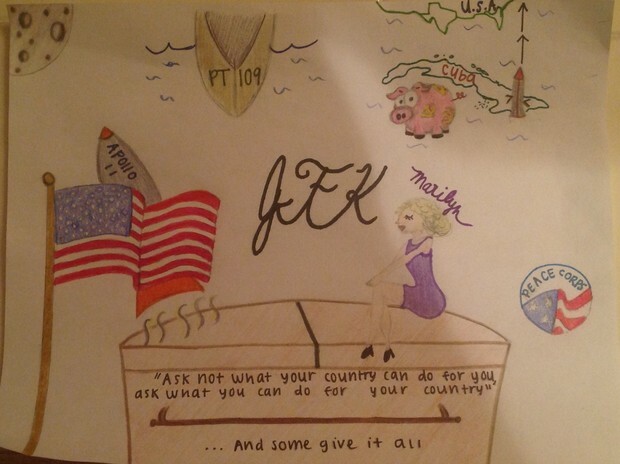 JFK wanted American citizens to work together with him to make the U.S.A an amazing country. He died striving towards goals to shape the country. His presidency and life was filled with events and issues including: the space race, the Cold War, the Cuban Missile Crisis, the creation of the Peace Corps, the Bay of Pigs, affairs with women including Marilyn Monroe, and his time served/ experience on PT 109. This week marks the 50th anniversary of the assassination of America's beloved President John Fitzgerald Kennedy or as he was affectionately called, JFK. The November 22nd, 1963, tragedy that occurred as the 35th leader of the United States of America and his elegant wife Jacqueline, were riding in an open motorcade through downtown Dallas, is regarded as a defining moment in American history, one that many will never forget. 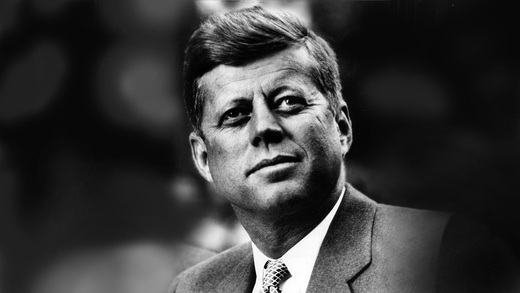 Loved by millions of people, John F. Kennedy became one of the most popular presidents (participle phrase). According to the author, JFK was young, handsome, charismatic, and had a picture perfect family. In the wake of accomplishment youthful vigor, and wild popularity, this charming man with a promise of the future was shot down by an enemy sniper (periodic sentence). Meera Dolasia, the article's author, is a great fan of the young president. Dolasia explains the assassination against Jack Kennedy and inquires about the reasoning behind it. Her review credits him with a great legacy despite his brief term in office. According to the author, the assassination of JFK lead to a more protective secret service a long with its equipment and methodology. Overall, John Fitzgerakd Kennedy is one of America's most beloved leaders and left a pathway for great things in the country's future including the landing of the first man on the moon and the Civil Rights Act of 1964. Liberty so that all men and women, no matter what they look like, can achieve freedom and can reach their fullest potential. Unity achieved by supporting each other and this nation as a beacon of light for the world. "John F. Kennedy Library and Museum." John F. Kennedy Presidential Library & Museum. N.p., n.d. Web. 29 Apr. 2015. <http://www.jfklibrary.org/>. "John F. Kennedy Quotes." BrainyQuote. Xplore, n.d. Web. 29 Apr. 2015. <http://www.brainyquote.com/quotes/authors/j/john_f_kennedy.html>. "John F. Kennedy: "We Choose to Go to the Moon" Speech." YouTube. N.p., n.d. Web. 29 Apr. 2015. <http://youtu.be/kwFvJog2dMw>. Kennedy, John F., and Theodore C. Sorensen. Ask Not What Your Country Can Do for You. London: Guardian, 2007. Web. "Remembering The Legacy Of John F. Kennedy." DOGOnews. N.p., n.d. Web. 29 Apr. 2015. 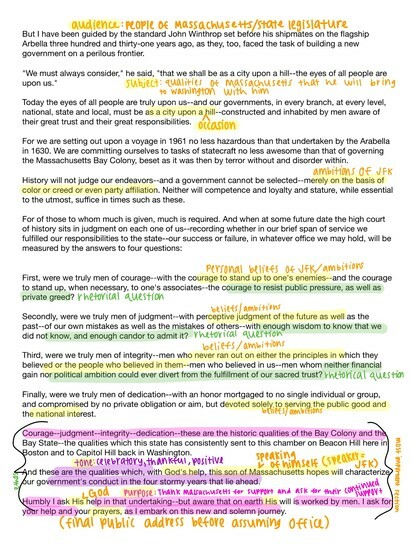 <http://www.dogonews.com/2013/11/20/remembering-the-legacy-of-john-f-kennedy>.